From March 16th to 28th, 2018 in Bologna, Europa and Odeon movie theatres, and in the Cesare Pavese Public Library in Casalecchio di Reno (Bologna). Everyone is invited. Enjoy the movies! With attention and passion we have selected feature and short films that face the subjects of rights, cultural diversity, disability, solidarity, integration and social inclusion, hospitality, courage, experimentation and friendship. The main characters are children, adolescents and their families in a more and more complex, confusing, contradictory and varied world. High-quality cinema can help us to orient ourselves in this unstable universe with few points of reference but with still some positive energies and examples. 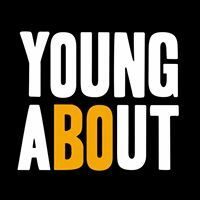 Youngabout Film Festival promotes the recognition and enhancement of the universe of youth, with film premieres in their original version. In a small Hungarian village, football is really loved. There are two opposed teams: the Gipsies’ team, who live in the suburbs and the village boys’ team. Racism towards the Gypsies enters the competition, despite those who try to give everyone the same opportunities. An unexpected love will encourage dialogue. For a fairer and more welcoming world. Csaba M. Kiss studied journalism at the MÚOSZ György Bálint Academy of Journalism in Budapest in 1989. Between 1989 and 1991 he worked for Heti 2012, between 1997 and 1998 he worked as a reporter for RTL-Klub. From 1998 to 2006 he was editor and host for Tv2 channel. From 2006 to 2012 he collaborated as a freelance with Hungarian television. Brazils is his first feature film. Gabor Rohonyi was born in 1966. He graduated from the Academy of Drama and Film in Budapest in 1992. His first short film Buvesz (The Magician) came out in 1997. From 1993 he directed several travel documentaries mostly about India and South East Asia, television programs, series, music videos and commercials. His first feature film Konyec (The End) was shot in 2006 and won the Best Genre Film Prize and Audience’s Prize at the 2007 Hungarian National Film Awards. For Meral the change of city and school is a big problem: it is not easy to fit into a new environment. Despite the new classmates’ pranks, Meral is a sociable and optimistic child and she does everything to be accepted. A mouse will help her make new friends. Adventurous. Simone van Dusseldorp was born in 1967 in Tilburg, The Netherlands, she studied photography at the Dutch Academy of Art and Design St Joost, audio-visual communication at the Gerrit Rietveld Academie, and then directing at the Netherlands Film Academy in Amsterdam. Her graduation film Waterlanders won first prize at the International Short Film Festival Oberhausen. She directed a number of short films and children’s television series before making her first feature film Deep in 2005. Then, in 2009, she directed Frogs & Toads (successfully presented in our festival A film in your backpack) and the family drama Secret Letter (2010), Life According to Nino (2014) and in 2016 Owls & Mice. Nilas, son of separated parents, grew up serenely in Belgium with his father, to whom he is very attached. Unexpectedly, he has to spend his holidays in an unknown country, with his mother’s new family. His difficulties in interacting with others will find a solution in the adventurous journey through a pristine nature. Blended families. Meikeminne Clincksoor was born in Ghent, Belgium, in 1984. She decided really young that she wanted to make children’s movies. After a theatre education in Amsterdam, she started a film education (2004) at the KASK Film School in Belgium, where she graduated in 2009 with her short film for children The Wishing Tree produced by Jekino Distribution. She wrote and directed a few shorts for children and won numerous awards with them. The last one was KI which premiered at Cinekid 2015 in Amsterdam. The adventurous journey of a group of blind children. Their goal is to be in the limelight… but they will discover that it is full of shadows. A road movie based on real events in which four teenagers make an incredible journey from Tibet to South China. A movie about tenacity, courage and hope. Zhang Wei was born in Hengyang, China. He directed five movies, among which Destiny, Factory Boss, Shadow Puppet Show of One Person and Beijing Dream. Dance, life, the magic of the moving body: childhood and adolescence of Sergei Polunin, a true enfant terrible of dance, defined by the New York Times as “the most gifted dancer of his generation”. The rare Super 8 home footages show pure talent, the joy of the body and the hard journey from the first steps on the stage to the wonderful video of his artistic maturity realized by David LaChapelle. Steven Cantor graduated at the USC School of Cinema-Television. He is an American film/television director and producer. His notable works include the films Tent City, USA, Unraveled, No One Dies in Lily Dale, Reporter with Nicholas Kristof, I Am an Animal, What Remains, loudQUIETloud: A Film about Pixies, American Masters: Willie Nelson, Devil’s Playground, Blood Ties and Dancer. Cantor also directed the HBO series Family Bonds. In 2017, Cantor released STEP with Fox Searchlight Pictures, documenting the senior year of a girls’ high-school step dance team in Baltimore. A selection of quality short films made by schools, beginners and professionals from all over the world. Young authors and more expert directors, through moving images and by choosing different styles and genres, take a challenge and they invite us to share their emotions and their experience. Bologna, 2016. Ayoub is good at the stove, he learns new things and looks towards the future; Simone talks about complicated relationships while showing his own drawings; Faki thinks about the future and how to build it; in the background the voice of Kamal, who’s rapping his life in verses. These are pieces of the new lives in the juvenile prison of Pratello, in Bologna. Roberto Cannavò was born in Messina in 1990. He graduated from DAMS in Bologna in 2013 with a thesis on the history of special effects. He has collaborated on the realization of the short film A Song for the Future (2015) by Lorenzo Miglioli. He also collaborated to many journalistic products: from the University of Bologna to Uisp Emilia-Romagna, which produced his first medium-length film La prima volta, a documentary about the juvenile prison of Pratello. Now he is working as assistant director for the new film by Paolo “Fiore” Angelini. A 14-minute short film about the life of a 16-year-old Moroccan boy with an Italian accent, who lives in Italy but struggles for citizenship. It is shot in the community gym of the TPO in Bologna. This is the most important day in Amin’s life: today the boxing match for the junior title will take place. He has trained a lot for that. Make it or break it. Michele Mellara and Alessandro Rossi are authors, directors and event creators who have been working together in solid artistic association for 15 years. They do cinema, creative documentaries, theatre and events with some eclecticism. Their original artistic journey has been recognized by the audience and by national and international criticism. Both of them graduated at DAMS in Bologna. Mellara graduated at the LIFS (London Film School). They are among the founders of D.E-R. (Emilia Romagna Association of documentarists) and they have been members of the managing board of Doc it (national association composed by directors and producers of documentaries). Together with Ilaria Malagutti and Francesco Merini they are founders and associates of Mammut Film. This short film tells us about the madness of bullying and the disastrous and painful consequences of a real persecution of a group against an individual. Fernando, a student in his last year of high school in Honduras, is also a dancer: his passion for ballet makes him easily the object of mockery and gratuitous insults. Jurek Jablonicky was born on September 12, 1989 in Tegucigalpa, Honduras. His passion for cinema leads him to Bilbao where he starts studying cinema at the cinema school Kinema. He then attends Metropolis – CE where he specializes in ”Realizacion Global para Cineastas y Critica”, (Global Realization for Cinematographers and Critics) in 2014. During his last year he writes and directs Flor del Mal, Por Ti, Madrid and Reconcilable Differences, short movies that compete in several international festivals. He then returns to Honduras where he works with cinema and publicity with his own production company Honduras This Week Media. Rafael Kapelinski was born in Toruń, Poland in 1970. He left a job in banking to pursue a career in film, starting off as the director of the Festival Office for Camerimage Film Festival in Poland. He subsequently attended the Andrzej Wajda Master School of Film Directing in Warsaw, the London Film School and the National Film and Television School in the UK. His short films, Emily Cries (2006), The Foundation (2009), The Informer (2011) have won over 25 awards at international film festivals. In 2009 he was selected for a residency in Paris as part of the Cannes International Film Festival. Butterfly Kisses is his debut feature film. Do not give up in front of destiny. Nothing can stop the young protagonist’s desire to fight against a disease that causes the progressive loss of sight. The passion for music, the desire to be independent, her trust in friendship, help the combative Marie to defend and achieve her goals. A beautiful soundtrack goes along with Marie on her way to self-determination. Michel Boujenah was born in 1952 in Tunis. His father, Joseph Boujenah, was a doctor. In 1963, when he was 11, his family left Tunisia for France. They moved to Croix d’Arcueil in Bagneuz, in the south of Paris. He suffered a lot from nostalgia for his native country and culture. He succeeded in making his childhood dream of becoming an actor come true by passing the competition to enter the “Ecole d’art dramatique du Théâtre National de Strasbourg”. He became a successful theatre actor and in 1985 he was chosen by Coline Serreau as main character in the film Three Man and a Cradle, winning the César as best actor. In 2003 he directed his first film Père et fils (presented in our festival A film in your backpack). In 2007 he directed Trois amis and in 2015 he directed the film Coeur en braille. The secrets, the tests to be faced, the search for meaning in the difficult journey of two teenagers whose friendship defies the prejudices of the community. Australia, 1968: teenage boy Charlie Bucktin knows the “half-caste” Jasper Jones, who is marginalized from the rest of his city and he decides to defend his friend and their precious partnership. Courage tests for two boys in an Australia still plagued by racial prejudices.Rachel Perkins was born in Canberra in 1970. Native of Arrernte and Kalkadoon, daughter of Eilee and Charlie Perkins, indigenous activists, she is on the front line in the Australian film industry and actively involved, since her early work, in telling the traditions of her people. Her continuous work as screenwriter, producer and director embodies her passion and ability to put Australian indigenous stories on the screen. Her works include Bran Nue Dae (2009), One Night the Moon (2001) and Jasper Jones(2017). It Seems Easy! The adventure of Paul Film in the Modena of CaroselloScreening of a selection of commercials and rare short films by Paul Campani, creator and author of very famous characters from Carosello (among others “Omino coi Baffi”, “Miguel son sempre mi”,” Angelino, Angelina”) in the presence of “Clod” Claudio Onesti (cartoonist, illustrator and friend of Paul Campani’s), Stefano Bulgarelli (Art historian), Alessandro Campani, Paul’s nephew, and the teachers Paolo Noto, Veronica Innocenti and Luca Barra. A desert island. The adventure! Four brothers, a sailboat and the search for “a life lived dangerously”, in competition with the rivals, the Blacketts, by arming themselves with shrewdness and tactical skills. Girls and boys show survival skills (without using smartphones and apps to light a bonfire) and they discover the value of friendship. Adventurous. Philippa Lowthorpe is a film and television director. Her credits include Jamaica Inn, Call the Midwife, for which she won, as first and only woman, the British Craft Television Award in 2013, Five Daughters (2010), Beau Brummell: This Charming Man (2006) and The Other Boleyn Girl (2003). In 2013 she received a British Film Institute award. Swallows e Amazons (2016) is her first feature film. The memory of a difficult childhood: the film tells the difficulty to fit in with a new family for a girl who carries in her heart a deep and secret sorrow, which she will have to learn to face. The director deals with her past by living again, together with the audience, a summer that she will never forget. Moving. Carla Simón was born in Barcelona in 1986 and she grew up in a Catalan village. She graduated in audio-visual communication at the Universitat Autònoma in Barcelona after spending a year studying at the University of California. She then attended a TV Fiction course organised by Catalan Television and then the London Film School. Her short films have been screened at numerous festivals. She participated in Berlinale Talents in 2015 where the screenplay for her debut feature film Estiu 1993 (Summer 1993) was selected for the Script Station. Ady, a 13-year-old boy from the suburbs of Paris, is used to manage his life without taking into account the rules and the respect for others. A trip to his father ‘s home country, in contact with his relatives, his grandmother, his uncle, will open his eyes to an “other” world, by facing a real initiation rite to accept his limits and discover his potentialities. Educational.Born in 1970 in Sweden, Berni Goldblat lives and works between Switzerland and Burkina Faso. Since 1999 he has been directing, producing and distributing films, especially documentaries made in West Africa. He was co-founder of Cinomade in 2000, an association in Burkina Faso aimed at creating and spreading tools of audio-visual awareness. In 2006 he founded the production company Les films du Djabadjah, in Burkina Faso too. His documentary Ceux de la Colline has been presented in over 50 international festivals. He is also a trainer and has been a member of the African Movie Academy Awards jury for ten years. His works include Doni-doni b’an bela (2001); Ceux de la colline (2009); Ciné Guimbi souvenir (2015). In 2017 he directs Wallay, his debut feature film. Teenagers Sander, Chris and Maarten are inseparable friends since childhood. In addition to friendship, they share a common passion for football and they play with perseverance and commitment. The bond between the three teenagers begins to deteriorate when Chris starts to spend time with Emiel, a handsome boy, a little older, with an unstable character and braggart attitudes. From that moment the three boys will take different paths. The film describes to us, from the point of view of the boys, the friendship, the sense of justice and the choice to take right or wrong ways, by highlighting the serious consequences of bullying. Tessa Schram was born in 1988 in Amstelveen, The Netherlands. She is the daughter of film producer and director Dave Schram and Maria Peters, screenwriter and producer. She is an actress and director. She graduated at the Netherlands Film Academy. She directed the feature films Pijnstillers (2014), 100% Coco (2017) and Kappen! (2016). Kriv Stenders was born in Brisbane, Australia in 1964. He is one of Australia’s most renowned film directors. He graduated from the Australian Film Television and Radio School in Sydney in 1989 and since then has directed numerous documentaries, shorts and feature films as well as television series. In 2011 he directed Red Dog that was a huge box office success. In 2016 Red dog: true blue is the prequel of the previous film. The encounter between Agnese and Stefano, 18 and 25 years old, from different social backgrounds and cultures: their difficulties in living in difficult contexts, in facing prejudices and precariousness related to work but also to feelings, push the two young people one in the arms of the other, overwhelmed by a true feeling, which reveals their fragility. Extraordinary young performers, applauded in Cannes. Captivating. Roberto De Paolis was born in Rome in 1980. After his high-school diploma, he studies at the London International Film School. Back in Rome, he studies acting with Argentinean coach Beatrice Bracco. In 2003 he starts working as a photographer, showing his work all over Europe and in New York. Between 2009 and 2010, he directs two short films, which were both screened at the Venice Film Festival: Bassa Marea and Alice. Together with Carlo Lavagna, he has been working as a video artist for Nowness.com. In 2013 he founded the film production company Young Films with Carla Altieri. With great delicacy and psychological acumen, this film tells the moods of two teenagers in Italy in the 50s and their friendship. In Rome, Mario and Franco meet at school. Mario has a tight family, his father is a small entrepreneur in the tile industry, while Franco, motherless, lives a wandering existence, following his father, a diplomat, often on a mission for his work. A precious opportunity to rediscover a classic of Italian cinema. The soundtrack according to Andrea Martignoni. Ziggy and Bas are best friends. Their course of study is over and the two kids will attend different schools. They can still spend a holiday together, taking part, one last time, in the great camp of Bouwdorp. They’ll have to take part in a competition, which sees rival teams involved in the construction of tall towers with waste wood: their friendship will be put to the test. Margien Rogaar was born in 1977 and graduated in 2002 at the Nederlandse Film en Televise Academie in Amsterdam. Since then she directed some short films. After Matzos, a short film for children, she directed Au Cigogne! Her first feature film was Maybe Sweden (2006). Another short film, Zucht, was nominated as Best Short Film at the Dutch Film Festival 2007 and it was selected for the Cannes Film Festival 2008. A film addressed to young viewers (from 4 years old) at their first film screening: little Casper and Emma joyfully face a mountain hike. A real adventure shared with their families… and their rag animals. Adventurous.Arne Lindtner Næss was born in Norway in 1944. He successfully made his debut as theatre actor and then he worked for cinema and television. Since 1985 he is also author, director and producer for theatre and cinema, especially for a children audience. In 2001 he was director and producer of the TV series for children The Junior Olsen Gang’s First Haul. For the cinema he directed The Junior Olsen Gang Goes Submarine. He later directed Finding Friends (2005) and SOS – Summer of Suspense (2008) and the film Casper and Emma Best Friends (2013) which won prizes at numerous international festivals and which was followed by six other films starring the two inseparable friends Casper and Emma and their families. Live music by Compagnia di Arte Drummatica. The orchestra in the theatre: an immersion in music and images! Opening of the exhibition of works designed and realised by the students of the Arts High School F. Arcangeli for the Youngabout Film Festival’s poster. The youngERCard entitles girls and boys up to 30 years of age to discounted admission for afternoon and evening screenings.